Switcher Go makes streaming to YouTube easier than ever before. First, you will need to make sure your YouTube account has live streaming enabled prior to your first broadcast. Visit this URL to confirm: https://www.youtube.com/verify. You may be required to enter your phone number. 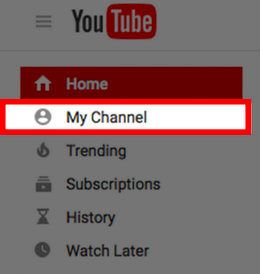 Select “My Channel” on the left side of the screen. From this page, select “Video Manager”. Choose “Live Streaming” on the left sidebar. Click "Get Started" to enable Live Streaming on your YouTube account. Accept the YouTube Terms and Conditions. Once you have accepted the YouTube Terms and Conditions your account will be set up to stream live. Make sure “Stream Now” is selected on the left side of your screen to allow single-tap broadcasting from Switcher Studio. To sync YouTube Live from the app follow the steps in this article: Creating A YouTube Event.